How do I change the IP Address of my DIR-850L router? 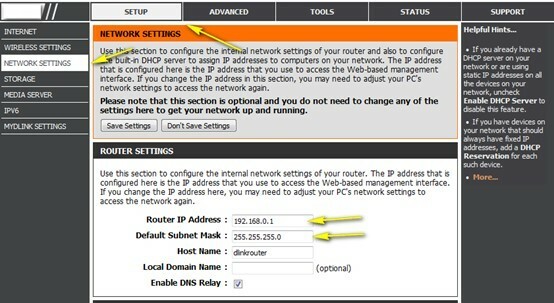 How do I change the IP Address of my DIR‑850L router? Example: If you are using other networking equipment and want to configure your network to allow for many access points. Step 3: Click on the Setup tab at the top and click Network Settings on the left side.